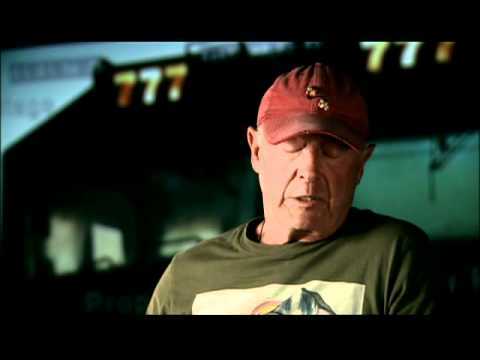 Anthony D. L. “Tony” Scott (June 21, 1944 – August 19, 2012) was an English film director. His films included Top Gun, Beverly Hills Cop II, The Last Boy Scout, True Romance, Crimson Tide, Enemy of the State, Spy Game, Man on Fire, Déjà Vu, The Taking of Pelham 1 2 3, and Unstoppable. He was the younger brother of fellow film director Ridley Scott. Scott was born in North Shields, the son of Elizabeth and Colonel Francis Percy Scott. His first foray into filmmaking was not from behind the camera, but rather in front of it. At the age of 16, Tony appeared in Boy and Bicycle, a short film marking the directorial debut of his then 23 year-old brother Ridley. He followed in his elder brother’s footsteps, studying at Grangefield School, West Hartlepool College of Art and Sunderland Art School, the last for a fine arts degree. He subsequently graduated from the Royal College of Art, fully intending to become a painter. It was only the success of his elder brother’s fledging television commercial production outfit, Ridley Scott Associates (RSA), that turned his attentions towards film. Tony had wanted to do documentaries at first. I told him, “Don’t go to the BBC, come to me first.” I knew that he had a fondness for cars, so I told him, “Come work with me and within a year you’ll have a Ferrari.” And he did. In the course of the next two decades, Scott directed literally thousands of television commercials for RSA, while also overseeing the company’s operation during periods in which his brother was developing his feature film career. Tony also took time out in 1975 to direct an adaptation of the Henry James story The Author of Beltraffio for French television, a project he landed by virtue of winning a coin-flip against his brother. After the considerable feature film successes of fellow British commercial directors Hugh Hudson, Alan Parker, Adrian Lyne and his elder brother in the late 1970s and early 1980s, Scott was beginning to receive overtures from Hollywood himself in 1980, but in the same year his elder brother Frank died of cancer. Scott persisted in trying to embark on a feature film career. Among the projects interesting him was an adaptation of the Anne Rice novel Interview with the Vampire then in development. MGM, however, had a vampire yarn of their own that they wanted Scott to direct, and after failing to convince the company to drop their project and tackle Interview instead, Scott instead decided to accept the MGM project, and pour into it all of the visual design concepts he had bandied about for Interview. In 1982, Scott began production on The Hunger. The Hunger starred David Bowie and Catherine Deneuve as chic Manhattan socialite vampires, desperately searching for a medical cure to arrest Bowie’s rapid aging. Willem Dafoe was introduced on film via a small, walk-on part in the movie. The Hunger had elaborate photography and sumptuous production design, unlike many pictures at the time of its release in 1983. The picture failed to find an audience, received harsh reviews by critics and was ignored at the box office (though it later became a cult favourite). Finding himself largely unemployable in Hollywood for the next two and a half years, Scott returned to commercials and music videos. In 1985, producers Don Simpson and Jerry Bruckheimer signed Scott to direct Top Gun. Both of them were among the few admirers of The Hunger during its initial release. Simpson and Bruckheimer had settled upon choosing Scott largely on the basis of a commercial he had done for Swedish automaker Saab in the early 1980s: in the spot, a Saab 900 turbo is shown racing a Saab 37 Viggen fighter jet. Scott, though reluctant at first, agreed on directing Top Gun, one of the highest-grossing films of 1986, taking in more than US$176 million, and making a star of its young lead, Tom Cruise. Following Top Gun’s success, Scott found himself on Hollywood’s A list of action directors. He reteamed with Simpson and Bruckheimer in 1987 to direct Eddie Murphy and Brigitte Nielsen in the highly anticipated sequel Beverly Hills Cop II. A critical disaster, the picture nevertheless became one of the year’s highest grossers. His next film, Revenge, a thriller of adultery and revenge set in Mexico, was something of a change of pace for the director. Starring Kevin Costner, Madeleine Stowe and Anthony Quinn, the film was both a critical and commercial flop. The production was not a pleasant one for Scott, as he was denied final cut in post-production, being re-cut at the insistence of producer Ray Stark. Scott returned to the Simpson-Bruckheimer fold to helm the big-budget film Days of Thunder. Once again directing Tom Cruise in a similar plot to Top Gun, though the film was a box office disappointment when released in the summer of 1990. Scott’s next film, the action thriller The Last Boy Scout, was a modest commercial success, particularly in comparison to star Bruce Willis’ previous vehicle, Hudson Hawk. In 1992, through a meeting arranged by a former employee, Scott was introduced to Quentin Tarantino, a long time fan of Scott. Tarantino offered him samples of his work to read, among them the screenplays for Reservoir Dogs and True Romance. Scott told Tarantino that he would love to make them both. Tarantino, however, politely replied to Scott that he could not have the rights to Dogs, as Tarantino intended to direct it himself. He was, however, able to make True Romance. Made for $13 million in 1993, a fraction of what his previous four pictures had cost, True Romance boasted a first rate cast including Christian Slater, Patricia Arquette, Dennis Hopper, Christopher Walken, Gary Oldman, Brad Pitt, Tom Sizemore, Chris Penn, Val Kilmer and in bit roles, James Gandolfini and Samuel L. Jackson, True Romance was the picture that helped change the perception of Scott as a serious film director. Although reaction to the film was initially lukewarm, it quickly developed a strong cult following. Tarantino himself was enormously pleased with the final product, even consenting to record a commentary track for the special edition DVD release of the film. Scott’s next film returned him back into the Simpson-Bruckheimer fold for a big-budget thriller, but unlike their previous collaborations, this one showed a renewed interest in strong characterizations. Crimson Tide, a submarine thriller starring Gene Hackman and Denzel Washington, was a box office hit in 1995. His follow-up film, 1996′s The Fan, contained a similarly A-list cast (Robert De Niro, Wesley Snipes, Ellen Barkin and Benicio del Toro), but was a low point in Scott’s career: a film which pleased neither critics nor moviegoers. Scott bounced back in 1998 with Enemy of the State, a conspiracy thriller starring Will Smith and Gene Hackman. Featuring a similar plot to Francis Coppola’s The Conversation (1974), Scott’s high-tech thriller was well received by critics and audiences alike. Spy Game was released during the Thanksgiving holiday of 2001. It performed decently well with the critics, garnering 63% positive reviews at the online movie website Metacritic. Even with the positive critical response, starpower and a popular premise, it only made a little over 60 million dollars at the U.S. box office. Man on Fire was released in April 2004 and was a hit with audiences. The Denzel Washington actioner made over 75 million dollars at the U.S. box office. However, critics did not respond well to the film, and it received negative reviews from the likes of Roger Ebert and Leonard Maltin. They did not appreciate Scott’s fast paced camerawork, or the amount of violence featured in the movie. Next for Scott came Domino starring Keira Knightley. This film performed dismally both with the audience and the critics. The sole bright spot may have been the “Two Thumbs Up” rating the film received from film critics Ebert and Roeper. Then in autumn 2006, Scott reteamed with Denzel Washington for the futuristic action movie Déjà Vu. Its performance was solid if not spectacular both at the box office and with critics. For this film, Scott used a more traditional style of direction than he had in the frenetic Domino. Tony, along with brother Ridley Scott, are co-producers of the TV series Numb3rs. Tony Scott directed the first episode of the fourth season. Tony was the director behind the Dodge Ram Never Back Down From a Challenge promotion for the 2009 Dodge Ram truck. Scott once again teamed up with Denzel Washington on The Taking of Pelham 1 2 3, which also starred John Travolta and was released in theatres on 12 June 2009. The film was a remake of the original 1974 film of the same title, starring Walter Matthau and Robert Shaw. 2009 also saw the beginning of The Good Wife, a legal drama series to which Tony and his brother contribute as two of several executive producers. Both Scott brothers produced the feature film adaptation of The A-Team. His next film, Unstoppable, again starring Washington (with Chris Pine), was released November 2010. On August 19, 2012, at approximately 12:30 p.m., Scott committed suicide by leaping off the Vincent Thomas Bridge in the San Pedro port district of Los Angeles, California. Investigators from the Los Angeles Police Department’s harbor division found contact information in his black Toyota Prius, which was parked on the left side of the road near the bridge, and a suicide note in his office. Witnesses said he did not hesitate before jumping off the bridge. His body was taken from the water by the Los Angeles Port Authority. Ridley Scott’s comment on The Directors. “A-Team Hopes to Bring “A” Game to Silver Screen”. http://tv.yahoo.com/the-a-team/show/28506/news/urn:newsml:tv.tvguide.com:20090128:1002195__ER:1.